Training and Placement: Cell shall send the invitation letter, training brochure and training notification form to the companies. • Interested companies are required to fill the enclosed training notification form and send the same to Training and Placement Cell, IIT Bhubaneswar. The details entered in the form shall contain all information required in regard of training offered by that company. • A dynamic priority grade list of companies will be prepared by the Training and Placement Cell on the basis of various factors that influence the students in regard of their training- stipend given, location of the training and other allied factors. In this, all companies are classified under three categories and Training and Placement Cell shall try its best to schedule the visit of companies in that order of preference. • Training and Placement Cell shall then notify all students about the procedure to be followed to procure internship in that company. • Training and Placement Cell shall request the companies to visit the campus on specified dates. 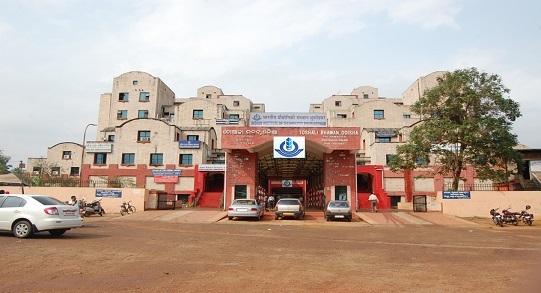 Campus:Rising from the horizon, sunrays falls onto the silver plated letters and reflects to the blue board engraved in white letters that reads “Indian Institute of Technology Bhubaneswar” and behind that stands the academic building. The Institute was established on July 22, 2008 under the mentor ship of IIT Kharagpur. Exactly a year later the Institute started functioning at the temporary campus of IIT Bhubaneswar in Samantapuri, Bhubaneswar. Within this short span of time the Institute has grown significantly in every field. Though the permanent campus is coming up on 936 acres of land at Arugul, located 20 km away from the main city, no stone is being left unturned to provide all the required facilities to the students. An efficient team of well qualified professors, enthusiastic students and supportive staff, makes IIT Bhubaneswar a promising institute of the future. The Institute has fully fledged facilities for academic endeavors of all kind with help from Central Tool Room and Training Centre, Bhubaneswar. Moreover, there are video conferencing rooms equipped with modern technology to ensure interactive teaching between students and eminent faculties from other premier institutes. A library with a wide collection of books, magazines, newspapers, encyclopedias ensures the academic environment is complete in all regard. Weekly guest lectures from people of varied discipline ensures the students earn the maximum from their stay at the institute. Slowly and gradually, IIT Bhubaneswar is pacing its way to the state of success and utopia. A Library is a repository of academic wealth and is emblematic of any educational institute’s intellectual and scholarly excellence. The Central Library of IIT Bhubaneswar, though in its infancy, boasts of an excellent collection of books, journals and magazines from all spheres and an academic atmosphere that stimulates the young minds to think beyond the confinements of texts. A state of the art, hybrid library, its academic resources include database both CD-ROMs and online which are made available through the Institute’s network. Users can access the online database and also find out the real-time availability of library materials from their own computer terminals. The Library offers a range of information services set to the highest professional standards. Besides, the Central Library is a fully air conditioned, eco-compatible, tastefully decorated breathing space that provides a break from monotony and freedom to Students Societies and its members to meet, ponder, contemplate and deliberate over subject matters. Hostel:Students have been accommodated in a quiet and scenic SBI colony located in Kesura about 20 minutes drive from the institute. 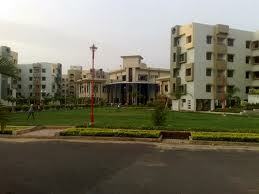 The colony has all the facilities in terms of beautiful gardens, parks, auditorium etc. Institute buses are available for student’s conveyance. A total of approximately 50 well furnished flats have been taken to accommodate 230 students, with 6 students living in each flat. The flats are 3 bed-roomed with a hall, kitchen and dining room. Students live on a twin sharing basis, where 2 students share a room. All the necessary facilities have been provided to make the student’s stay comfortable. In addition, 2 flats have been earmarked to serve as the mess and dining rooms for the students. The students mess committee looks into day to day mess activities. Some flats are separately allocated as a common room consisting of different indoor sports, television along with news articles for student recreations. A doctor is available in the hostel premise to take care of student’s medical problems. An ambulance round the clock is available in the hostel and institute premise. Wireless modems have been installed in all flats equipping them with internet access. A SBI ATM is located within the hostel compound. In Recent years, Alma Fiesta has been the platform for the upcoming Stars and has orchestrated the most vibrant and entertaining performances in India.Some of the Unforgettable performances were by… Krishna Beura , Swabhiman Group, Kryptos Band , Dr. Kumar Vishwas , Cynical Recess and many more..